NCLEX PN practice questions and sample tests might make you feel like pulling out your hair. No matter how many nursing practice questions you take, you can’t seem to get the right answer. Even the best PN practice questions exam can’t shed light on the rationales behind your hardest study questions. It’s quickly becoming your biggest frustration. You need a NCLEX LPN practice questions that immediately sheds light on how to find the right answer now. There’s no need to cram to solve your biggest woes regarding LPN practice test questions. The study advice below helps you master the hardest exam-like questions with a fail-safe test preparation technique. 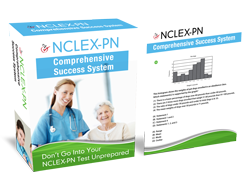 The following NCLEX PN exam review cheat-sheets provide step-by-step advice that help you pass the National Council Licensure Examination-Practical Nurse test faster and easier. Prioritization questions represent some of the most popular questions on your NCLEX PN practice tests, and for good reason. Prioritization questions can be defined as a type of NCSBN question that requires the nursing student to prioritize what actions need to be taken to treat a patient. Many nursing students discovered that more than 75 questions on an LPN NCLEX practice test consisted of prioritization questions. Achieving a 100% pass rate on the first try requires knowing how to identify and master these NCLEX PN practice test questions. The “Remember to Breathe” Method is critical for those test takers who want to answer nursing sample questions with confidence and ease. This technique can help you get fast results, beat the current test plan and pass your licensure exam for practical nurses. If you see any of these words within PN practice questions, move forward to the next step of the “Remember to Breathe” method. Now that you know you’ll need to prioritize, you need to know what actions should be taken first in order to treat a patient. The “Remember to Breathe” method makes it possible because the top priority is right in the method name. Before you do anything, a PN student should always check the airway to see that nothing is blocking the throat. The next priority should be to check for breathing. After this penultimate priority, a nursing student should check for a pulse (circulation). Now that you know the “Remember to Breathe” method, let’s look at this technique in action on NCLEX PN practice test questions. Encourage the patient’s fluid intake. Encourage the patient to cough and take a deep breath. Note that the PN exam question has a clue word, “primary” in it. This should immediately indicate to you that the question is asking you to prioritize. Now that you know to prioritize, take a look at the answers using the “Remember to Breathe” method. You’ll immediately see that the first priority – airway – is addressed in Option D. While each answer is technically correct, Option D should always be done first, as morphine can suppress the cough reflex. What If You Use The “Remember To Breathe” Method? If you use the “Remember To Breathe” Method on your PN practice quizes, you’ll discover that you have a new found confidence to attack your test prep review with confidence and ease. You’ll no longer let prioritization questions trip you up on your quest to become a licensed nurse. In fact, with the “Remember to Breathe” method by your side, you’ll discover that each NCLEX PN practice test makes you look forward to taking the real National Council of State Boards Of Nursing Licensed Practical/Vocational Nurses.